CAIRO, 28th December, 2017 (WAM) -- The Arab Parliament has called on the international community, especially the United Nations Security Council and General Assembly, to hold Iran accountable for violating Yemen’s national sovereignty and smuggling all types of weapons and ballistic missiles to arm the Houthi militias, with the aim of destabilising the region and perpetuating chaos. 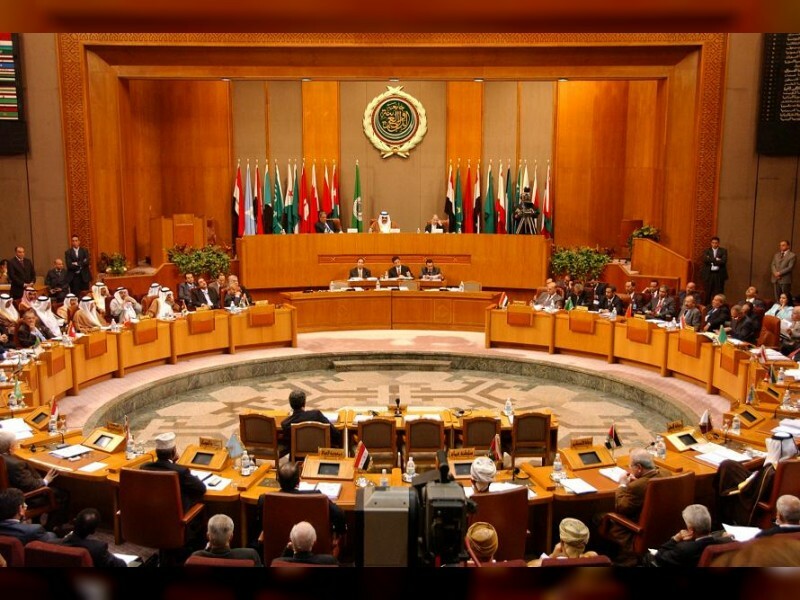 This demand is part of a resolution issued during the second ordinary meeting of the parliament’s second session this year, held today here at the headquarters of the Arab League, on the Yemeni crisis and the threats posed by the Houthi militias to the security of countries neighbouring Yemen, as well as to international security. The parliament highlighted the necessity of obligating Iran to follow relevant UN resolutions, including resolutions 2216 and 2231 issued by the Security Council, and holding Tehran responsible for the consequences of its criminal acts and violations, which threaten regional and international security and peace, as well as maritime navigation and international trade and commerce. It also denounced the continuous launch of ballistic missiles on Riyadh by the Houthi militias, the last of which on 19th September, 2017, and the targeting of Saudi interests, as well as border villages and towns. The parliament called on the Security Council to take all measures and procedures to pressure the Iran-backed Houthis to agree to a political solution and peaceful transition to the legitimate authority, based on the three references - the Security Council’s related resolutions, including resolution 2216, the Gulf initiative and its executive mechanism, and the outcome of the Yemeni National Dialogue. It also called on the UN and its specialist organisations to stop the Houthi militias from targeting government headquarters and institutions, storing their weapons in schools and hospitals, and continuing to launch ballistic missiles on Yemen’s neighbouring countries. The parliament stressed that the activities of the Houthi militia, which are supported by Iran, represent crimes against humanity and a threat to regional and international security and peace. The Houthis' launch of ballistic missiles towards Islamic sacred sites in the Kingdom of Saudi Arabia, and their announced intentions to threaten the neighbouring Arab cities and capitals, specifically the UAE, is a serious threat to Arab national security and a clear provocation of the feelings of millions of Muslims around the world, the parliament added. The parliamentarians further said that they reject the Houthi militia and Iran’s regime which sponsors and supports it, and urged them to kowtow to the will of the international community and the Security Council’s resolution 2216 and 2231. The Arab Parliament underlined that the latest developments witnessed by Yemen, especially after the murder of the former president Ali Abdullah Saleh in a brutal way at the hands of the armed Houthi militia, foretell the complication of the Yemeni crisis. This comes after an increase in criminal practices and inhumane violations adopted by the Houthi militia towards the Yemeni people, the members of the Yemeni House of Representatives, the leadership of the General People's Congress, media professionals, and peaceful protestors. Fearing these attacks and systematic brutal acts, many Yemenis have been forced to migrate to neighbouring countries, they added. The Arab Parliament affirmed support for the Arab Coalition Forces for Restoring Legitimacy in Yemen. It further expressed full support for the efforts of the Saudi leadership to regain legitimacy, protect the Yemeni people, recover all of Yemen’s institutions and its vital capabilities, protect the Arab national security, and secure maritime navigation and international trade. The parliamentarians condemned the criminal acts and systematic crimes perpetrated by the armed Houthi militia against humanity and innocent Yemenis.